Customized Private Scottish Tours for groups of up to 8 people. Our bespoke private Scottish tours are created in partnership with yourself to provide an itinerary that meets your specific requirements. Just let us know the duration of your tour, type of accommodation and your interests and together we can design an enjoyable and memorable visit to Scotland. 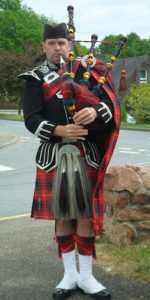 Special events such as the Edinburgh Military Tattoo, Braemar Highland Games or even a “Burns Supper” can be incorporated into the itinerary, should they fall within your tour dates. Tours can be tailored for those who wish trace their ancestry and could include visits to particular sites such as cemeteries, castles or clan museums. You can be picked up and dropped off anywhere in Scotland and our Vauxhall Vivaro minibus can comfortably accommodate up to 8 passengers.